The DynaMaxx compressor/limiter/noise gate offers disarmingly ease of use with signal-dependent automation of time constants. It also premiers unique de-compression features to regain vitality e. g. from over-compressed audio files. The DynaMaxx is ideally suited when unobstrusive, musical compression results and reliable set and forget operation are most important. SPL's unique Double VCA Drive technology employs two excellent VCAs in a differential mode for maximum transparency, dynamics, and lowest distortion values. 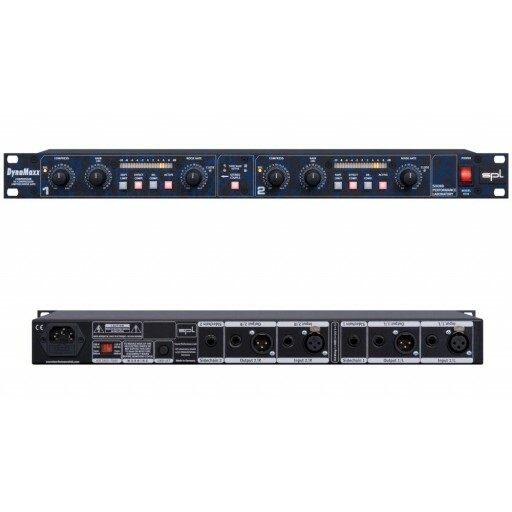 I/Os: both XLR connectors and 1/4 inch TRS stereo jacks for balanced operation. Note: 0dBu = 0.775V Subject to change without notice.